The latest Program for International Student Assessment (PISA - 2012) results were recently published and, once again, students in British Columbia have our province among the highest performing jurisdictions in the world. Implemented by the Paris-based Organization for Economic Cooperation and Development (OECD), the most recent PISA test included questions on math, science and reading and involved over 500,000 15-year olds from around the world. Among the 65 participating countries and economies, only one jurisdiction statistically performed above B.C. 's range in reading, only two jurisdictions in science, and nine jurisdictions in mathematics. On a straight numerical basis, B.C. is sixth in both reading and science and 12th in mathematics. In Canada, our students were at the top in reading and science and second (to Quebec) in math. Significantly, B.C. also demonstrated high equity in student performance, which is the gap between the highest and lowest performing students, showing our system is delivering high student achievement in a very equitable manner. The PISA results are highly politicized and, when it comes to performance, you can be damned if you do and damned if you don't. B.C. students performed well, yet, despite a high standing internationally, the day after the PISA results were released, a Globe and Mail headline read, “No time for educational complacency, Canada”. The Globe article is distrustful of educators and warns parents to “get their pitchforks out” as current reform proposals in B.C. are a “child centred, less structured way of learning that drove Ontario’s system into the ditch...” Makes me wonder what this columnist would have written if our results were not strong? As with any snapshot assessment, PISA data are incomplete as they capture test results from randomly selected 15-year olds at one moment in time. While I support the publication of school achievement data, I am opposed to ranking schools or, in the case of PISA, jurisdictions (I have written a previous post about rankings). The effectiveness of educational systems should be measured on far wider criteria than a 2-hour test, indeed, the top performing PISA jurisdictions like Shanghai, Singapore, Hong Kong, Taiwan and Korea are often criticized for having schools overly focused on high stakes tests. Test taking skills may not translate well into more complex and creative problem solving tasks. Ironically, thousands of parents living in these areas are spending a fortune to have their kids educated in places like B.C. Since the PISA tests began in 2000, Finland has been widely considered the world's educational lighthouse. Interestingly, Finland's results dropped again slightly in 2012 and many in the small Scandinavian country seem relieved, as their focus is on having every student as skilled and educated as possible and Finland's egalitarian schools have never focused on test results. I visited Italy last summer. B.C. schools, like the famous tower in PISA, are not perfect, but they're very good. The facts are that B.C. kids are doing well when measured by international standardized tests and, more importantly, our schools offer diverse learning opportunities and a wide range of personally and socially responsible endeavours. We have a culture passionate, dedicated and professional educators working together to create caring, safe and engaging schools. Public schools remain the foundation of our nation’s healthy, pluralistic and progressive democracy and the gap between high and low performing students in our province is narrow. Forward thinking provincial governments make the commitment to invest in public schools as they ensure equitable access to a quality education for every young person and this leads to sustainable economic growth. American schools do not perform nearly as well as Canadian schools on the PISA measurements and the choice mandate in the United States has created “have” and “have not” jurisdictions that are not good for students or for society. Absolutely, all schools and educators must continue to evolve, grow and innovate as the world is changing. However, it is also okay to express gratitude and recognize our schools, students, teachers, support staff and school administrators in British Columbia for achieving at a high standard. Thank you to everyone who works in our schools and remains committed to helping all young people learn, grow and succeed. You’re doing good work – please keep it up! 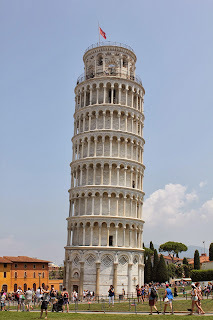 Another thoughtful summary of the meaning of PISA can be found here.